Healthy and genuine food, as it once was: this is the pivotal point from which Pizzottiamo left on a journey to rediscover the traditional flavors of Salento to give prestige to the old recipes of bakery products that were the basis of the food of the past. The recipes, handed down from generation to generation and carefully guarded by our grandmothers, are based on the use of genuine products such as durum wheat semolina and extra virgin olive oil, which are kneaded with mother yeast and expertly hand-worked. In the past, different types of bakery products were produced at home (bread, pizzas, pucce, focaccia, etc.) to meet the family's food needs; products, these, with taste and unsurpassable aromas and that retain their fragrance for days without any preservatives. What is the recipe for our success? The enhancement of ancient traditions. For our pizza bases we use few and healthy ingredients grown on site that, after a first slow and accurate phase of dough and a leavening in the box, are expertly handcrafted by masters Pizzaioli, to be then subjected to a process of drying and abatement, before being sent to the aseptic room where they are packaged in a modified atmosphere packaging (MAP). All this translates into a high level of quality in terms of taste, organoleptic characteristics and digestibility, thanks to the use of local genetic ingredients, in addition to the shelf life of products that are kept in the refrigerator at + 4 ° C for 90 days, without no added preservative. Pizzottiamo responds to the growing diffusion of gluten intolerance with the "Health line" which, without variations in the production process, is distinguished by the use of re-milled semolina obtained from the milling of the "Senatore Cappelli" wheat from original seeds, which is grown according to the organic method in uncontaminated areas of the “Tavoliere delle Puglie” (a northern area of Apulian region). This variety of grain, like other ancient hard grains such as Sarangolla or Korasan - better known by the brand “Kamut” - keeps intact the molecular structure to the advantage of the organoleptic structure: for this reason, nutritionists recommend it to those who, although not celiac, is sensitive to gluten or has difficulty in managing complex carbohydrates. The use of superior quality ingredients, mixed with sourdough and processed, allow us to offer the final consumer a product with unprecedented organoleptic and health characteristics, which can also be enjoyed by those who, not being celiac, suffer from intolerance or hypersensitivity to gluten. One more reason that make "Pizzottiamo" a winning choice. 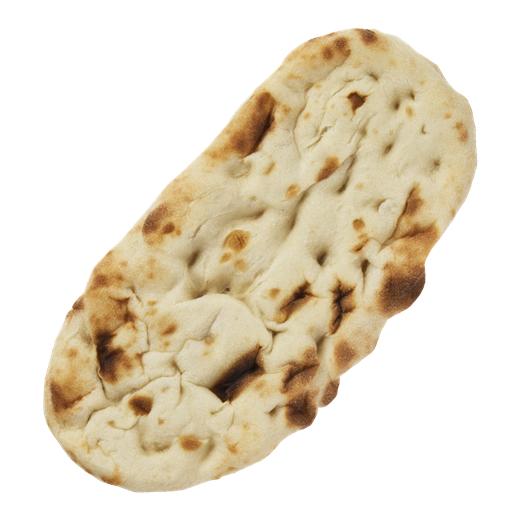 The Sfiziosa is a fresh dough, a round base with different diameters and thickness (listed below). A very versatile product that allows customers to offer a wide range of high quality food solutions. Once the package is opened, the Sfiziosa is ready to be seasoned as desired and bake for Pizzas, Fornarine, Grissini, etc. In addition, if heated for a few seconds in the oven, the base returns soft, as if just spread out, and can be shaped as desired and then filled. A single product to make multiple variations such as: Golosoni, Gourmet Rolls, Piade pizza, Baskets for salads, etc. if the affected flakes are wet with water, after having heated it, the reactivation of the starches in the mixture is obtained, in order to cut the base on itself and also make a product such as Panzerotti Fritti, baked calzones and stuffed pizzas. 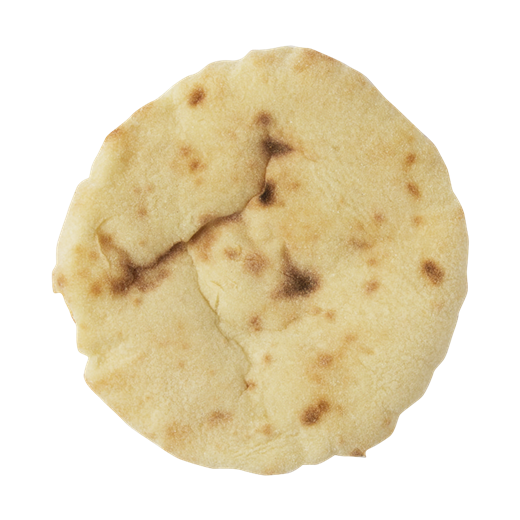 The Pucciosa is a reinterpretation of Puccia Salentina, a typical product much appreciated, in shape round and empty inside, cooked to 75%. The cooking can be completed in a few minutes in the oven or on a plate: cooked whole, in the center it results very soft, cooked cut is crisp. It can be filled in a variety of ways. 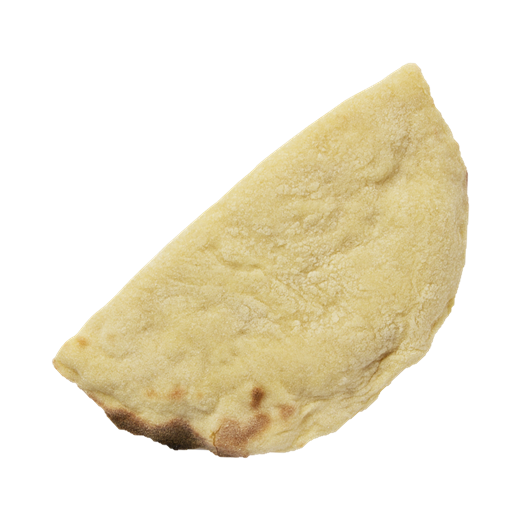 The Pucciolosa is the variant of Pucciosa with a tapered shape, empty inside and 75% cooked. Cooking can be completed in a few minutes in the oven or on a plate. Particularly suitable for to be stuffed with roast meat and hot dogs. Weight 100 gr. for 18/20 cm. L.
Weight 130 gr. for 20/22 cm. 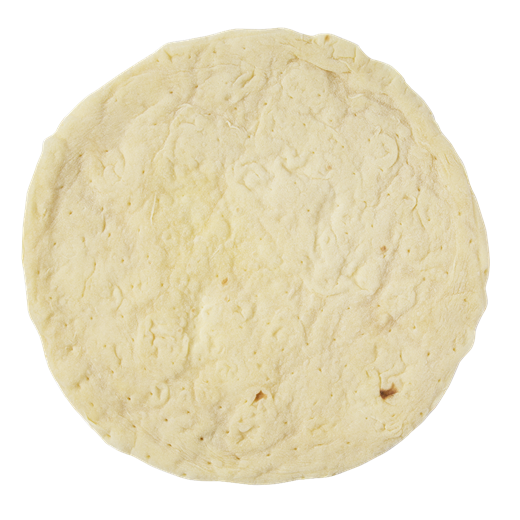 L.
La Golosa is a base already formed half-moon, open and cooked at 75%, ready to be stuffed and then plated or baked for a few minutes. It is proposed in different diameters and thicknesses, open the package is ready to be seasoned at will, fired, tiled to taste it in a few minutes! 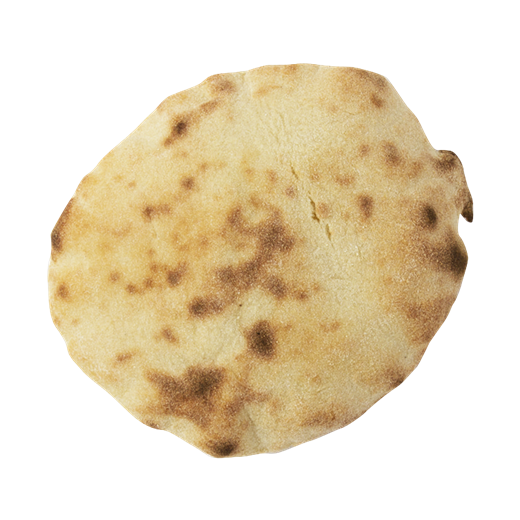 The Schiacciata is the variant of the "Pinsa Romana" or "Pizza alla Pala" with an oval shape pre-cooked to 75%. 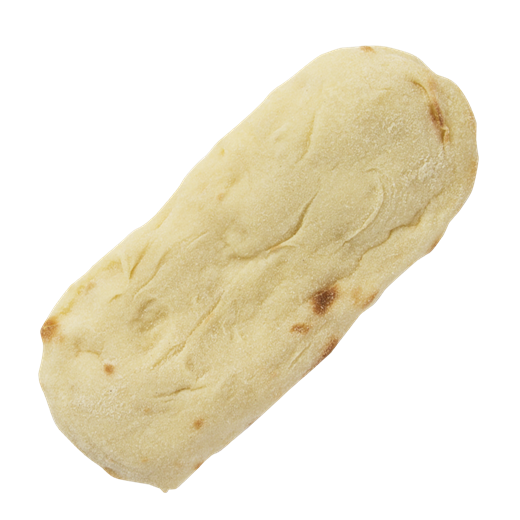 Unlike other products, the dough contains 80% Type 1 flour and durum wheat semolina for 20%. Cooking can be completed in a few minutes in the oven or on a plate. Indicated to be stuffed like a pizza, or cut and stuffed in the middle to taste. Weight 250 gr. for 33/34 cm. L.